Does Your Vehicle Need Transmission Repair? Posted April 19, 2018 by admin & filed under Uncategorized. Transmission repair can be expensive, but without a properly working transmission, your vehicle cannot run. Both manual and automatic transmissions ensure that power moves from the vehicle’s engine to the wheels. Your vehicle’s engine works at speeds called RPMs or Revolutions per Minute. The transmission’s job is to transmit power to the wheels while keeping the engine’s RPMs in the optimal range. It does this through a complicated combination of gears and parts that recognize changes in speed and RPMs and move accordingly to optimize the vehicle’s energy. If the transmission isn’t shifting the gears properly, you’ll notice a bumpy ride because the energy isn’t transmitting smoothly from the engine to the wheels. The vehicle may buck or stall, or you’ll hear grinding noises from underneath the vehicle. If the transmission is really in trouble, you may even see smoke issuing from it. All of these signs are indicators of problems and should be checked by a mechanic immediately. Leaks and stains under the car: Transmission fluid is typically dyed red to make it easier to identify it from other vehicle fluids, and in both rear and front wheel drive vehicles the transmission is located underneath the vehicle and towards the rear. Puddles of red fluid under the rear end of the vehicle indicate a leak somewhere in the system. Noises: If you typically drive with the radio blasting, turn it off occasionally and listen to your vehicle. Many problems begin as unusual noises, but if you’re not sure what your vehicle normally sounds like you may not be able to tell the unusual from the usual. Transmission noises that indicate trouble brewing include whining noises, especially a whining sound under the floorboards while your vehicle moves from gear to gear. Changes in shifting behavior: Your vehicle should move smoothly between gears whether you have a manual or an automatic transmission. If you feel a jolting sensation or the vehicle bucks during a shift, it’s time to have the transmission checked. A heavy sensation in the vehicle during shifting may also indicate a problem. It’s important to have your vehicle’s transmission checked if you notice these or other changes. Talk to your mechanic. He or she may have some simple suggestions to extend the life of your vehicle’s transmission. 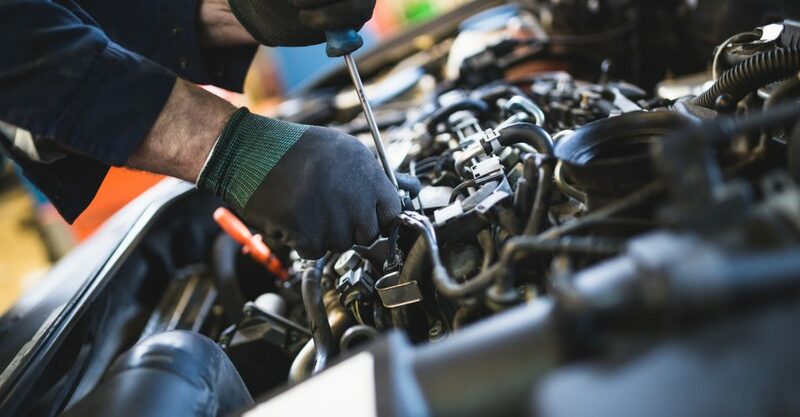 Transmission fluid and filters should be changed around every 25,000 miles or so but check your vehicle’s maintenance schedule for the exact number as it can vary considerably. Transmissions do have a filter that cleans the fluids inside, and as with your vehicle’s engine, keeping the fluids clean and the filter clear prevents build up and debris from harming the transmission. Routine maintenance alone may prevent or delay costly transmission repairs.